A list of reasons and laws are not necessary. There's nowhere in the entire Western Hemisphere (and the rest of the world) that allows ANYONE to go into Central Asia to "trophy hunt" a snow leopard. It is illegal to own their body parts or their beautiful fur and importing their remains into the United States is a federal offense. This long-time and prolific trophy hunter of rare cats must be made an example of or these magnificent cats will vanish forever. I launched this petition on October 23, 2017, International Snow Leopard Day. 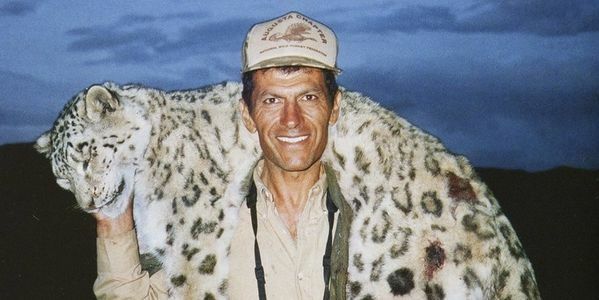 Let's all work together to make sure by International Snow Leopard Day 2018 that this man is brought to justice. One year on Golabchi has expressed zero remorse for destroying the life of the world’s rarest cats. We are still trying to locate the remains of this beautiful snow leopard to properly lay them to rest. We want to thank every single person that signed this petition. Despite no charges against the hunter due to time elapsed as well as lax regulations , in the past year we’ve seen a strong justified backlash against trophy hunters who kill under the false premise of “conservation.” KEEP FIGHTING! Here is a an in-depth update and statement by TERA International. Share now to help us hit 150,000 strong, and show the international trophy hunting lobby that we will NEVER tolerate the hunting of snow leopards and big cats. We're waiting to hear back from the USDA and Fish and Game and will update then. We've been contacted with concerns that the hunt may have happened too long ago to be prosecutable. To our knowledge there is no statue of limitations on international wildlife crime nor do we believe that there was just one snow leopard brutally destroyed. ONE is too many and Golabchi has killed hundreds of animals on SIX continents. To our horror he's given a step-by-step account of the tragic snow leopard hunt book in a called "Obsessed." We too are obsessed. Obsessed with seeking justice.